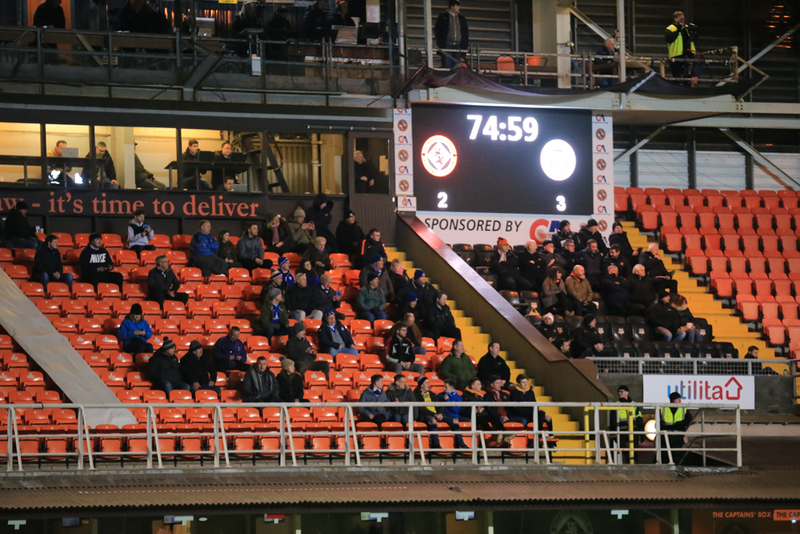 After two 3-1 defeats in the space of four days a trip to Tannadice would not be top of anyones list. 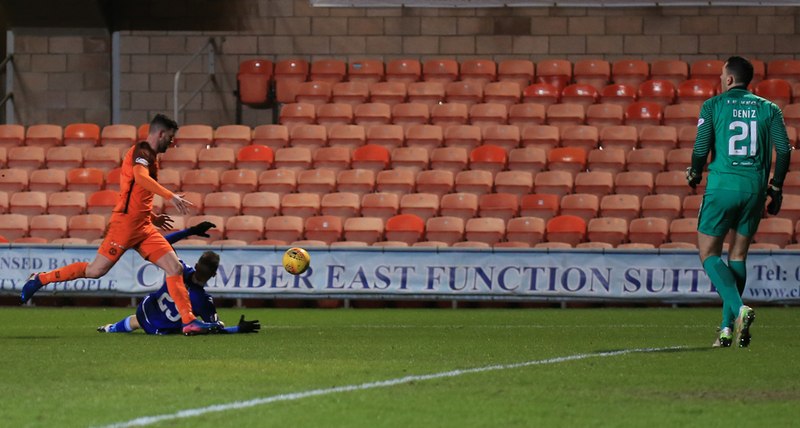 However, two goals from Joe Thomson and a clinical penalty from Kyle Jacobs exacted some revenge over the Arabs for the first of those defeats and provided the first win at Tannadice since 1933. Gary Naysmith made four changes to the side which lost the second of those games on Saturday. Rooney and Brownlie came into the defence, replacing Mercer and Fordyce. 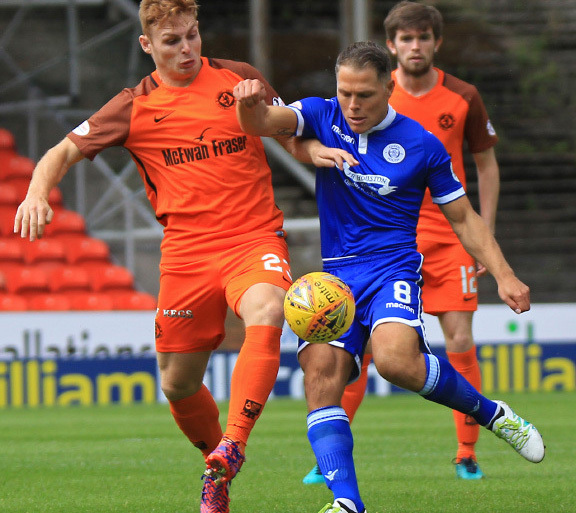 New signing, Josh Todd - on loan from St Mirren - came straight into the side in place of Ross Ferguson and with Dobbie still injured Lyndon Dykes returned to the starting 11 in place of Lyle up front. With those changes, Rankin and Jacobs were the only players in the starting 11 over the age of 23 (the average age of the lineup), in what must be one of the youngest sides Queens have fielded. 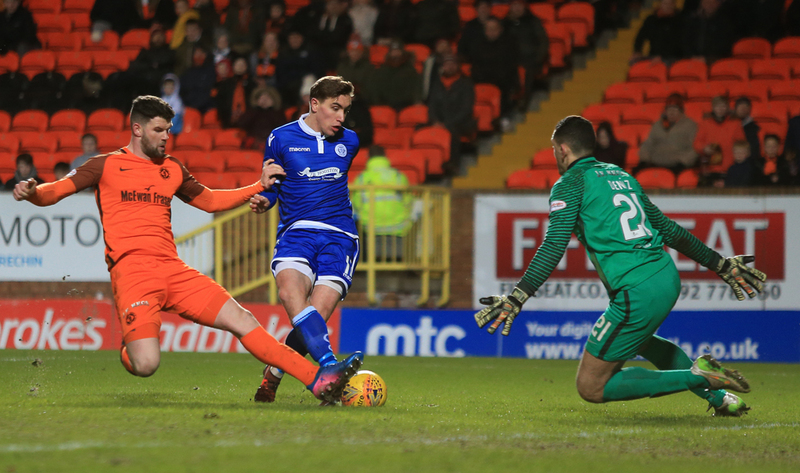 The young side had to defend in the first 20 minutes as Dundee United controlled the game without, it has to be said, creating too many clear chances. Debutant Celtic loanee, Ralston, was looking dangerous coming forward from right back but the final ball from the home team, in general, was lacking. It was a little against the run of play, then, when Queens took the lead on 21 minutes. Pressing in the midfield won back possession around half way allowing, the other debutant loanee, Josh Todd to play a good ball down the channel for the run of Dykes. 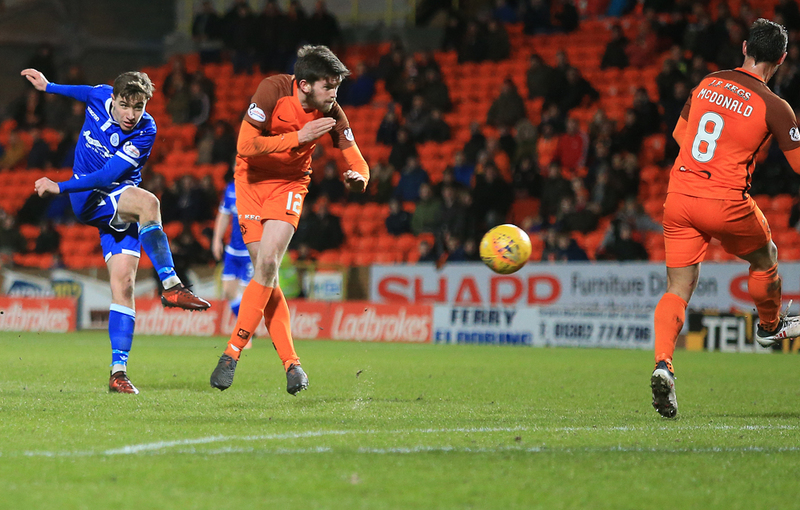 The big Aussie got to the ball ahead of Durnan, spotted the run of Thomson in the middle before lifting the ball over Edjenguele into the path of the midfielder. He took a touch away from the United man before coolly slotting the ball past the on-rushing Mehmet to put Queens 1-0 up. The rest of the half continued in much the same vain. United enjoying most of the possession without overly threatening while Queens best hope of a second looked to be on the counter. Thats exactly how it came about 4 minutes before half time, in a round about way. 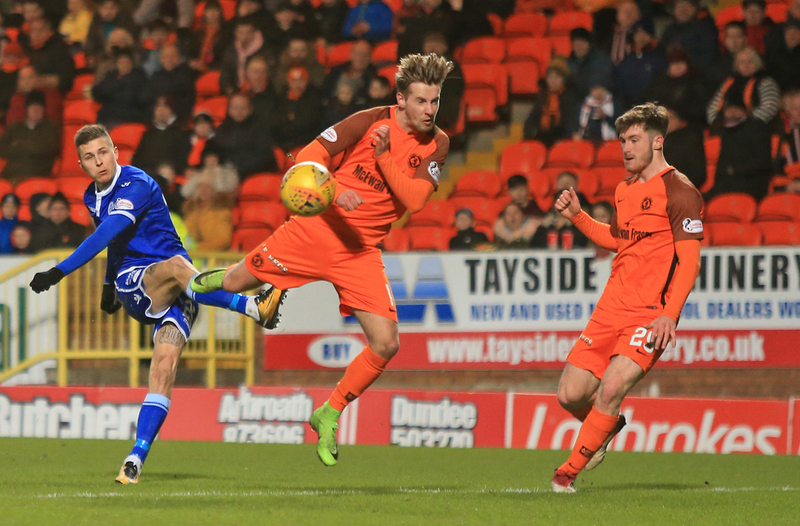 Another long ball forward looked to be comfortable for Durnan but, with Dykes pressing him, he underhit his back pass to the keeper. Dykes nipped in front onto the ball before the former Queens man blatantly pulled him down. With none of the regular penatly takers in the side, Kyle Jacobs stepped up. 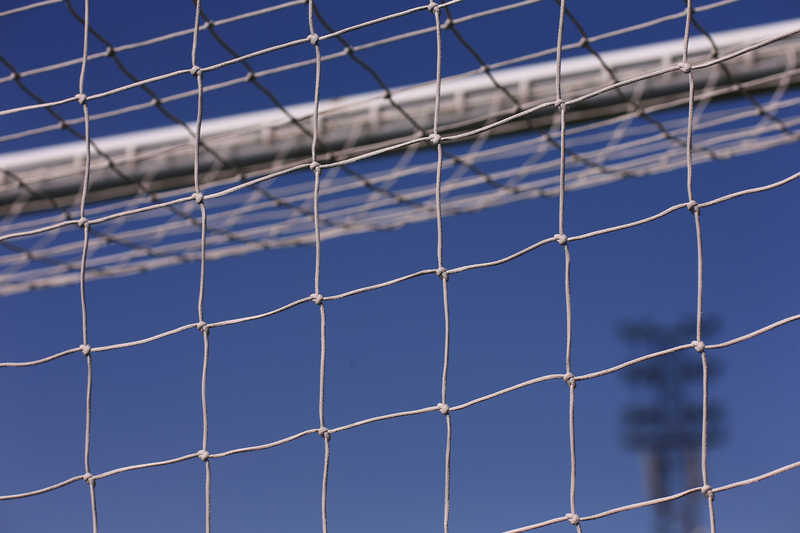 Any comfort the home fans might have taken, had they known the midfielder had only scored once before in 101 appearances, was short lived as he despatched the penalty high into the top corner giving the keeper no chance and Queens a 2-0 lead. His superbly struck spot kick was the last noteable action of the first half. The second half started with much the same pattern as the first - United with the possession and Queens looking to hit on the break with balls up to Dykes and into the channels. The home side continued to struggle to break down the visitors defence in open play and it took two set pieces to get them back into the game. 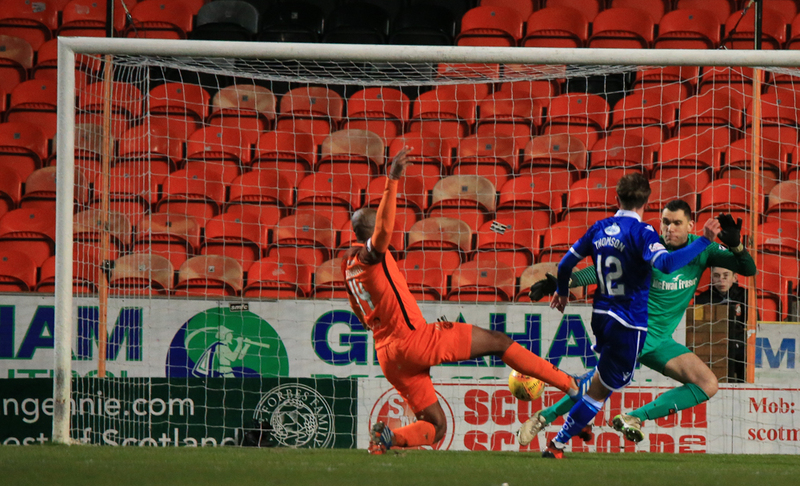 Mark Durnan made up for his earlier mistake by scoring the first. A corner wasnt properly cleared and somehow the bobbling shot that came back into the box was only deflected towards the back post. Rooney cleared off the line but, hindered by the post, could only knock it a couple of yards out to the waiting Durnan who prodded into the roof of the net. Game on? It was almost game over again as Dykes came within inches of restoring Queens two goal lead. He, though, saw his 20 yard effort rattle back off the cross bar with Mehmet simply watching on. Game on it was, though, moments later. Referee Gavin Duncan awarded United what looked like a soft free kick just outside the Queens box. There looked to be a big gap to Leighfields right, perfect for the left foot of Scott Fraser standing over the ball. 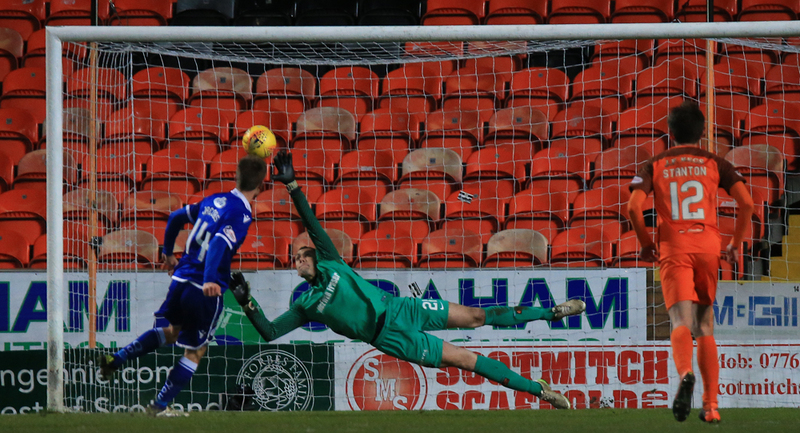 It was the other Scott who stepped up, though, as McDonald curled a right footed shot over the wall and into the net past the outstretched arms of the diving Leighfield. Having lost a lead to United seven days earlier and taken nothing from Saturdays match against, Champions elect, St Mirren most Queens fans would have been fearing the worst and the United fans would, likely, have been smelling blood. Its to the teams great credit, then, that the visitors had probable their best spell of the match after the equaliser, enjoying some possession in the United half and forcing a couple of corners. Dykes was giving the home centre backs a difficult time and he almost set up Thomson for his second goal with a lovely flick inside to the midfielder as he burst into the box - yet again. 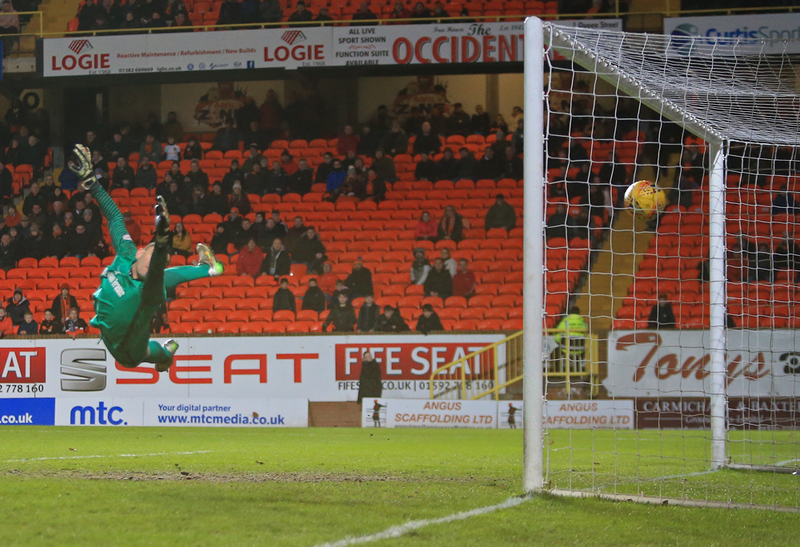 Only a last ditch tackle from Durnan prevented Joe from working Mehmet in the United goal. He wasnt to be denied a second for long though. Again, Dykes was involved, not once, or twice, but three times. He collected the ball in the box with his back to goal but had it nicked off his toe as it bounced. As the ball went up in the air, it was Dykes again who challenged for it. He did enough to stop it being properly cleared and when the ball fell to him for a third time, he layed it off perfectly into the path of Thomson who unleashed a rocket from 25 yards plus that flew past Mehmet into the corner of the net to put Queens back in front with just 15 minutes remaining. The final 15 minutes was back to wall stuff as United threw Durnan up front and pressed Queens with high balls forward. The defence coped fairly comfortably though and saw out the remainder of the match to secure the win. A much needed three points won and some real positives to take from the game. Joe Thomson looked back to his best and Josh Todd looked to possess real quality on his debut. The match also saw a return to the squad, and a vital 17 minutes of action, for Dan Carmichael. After being pegged back to 2-2 the team showed a real spirit to get back into the game and reclaim the lead. A spirit they will need on Saturday when Livingston come calling to Palmerston.